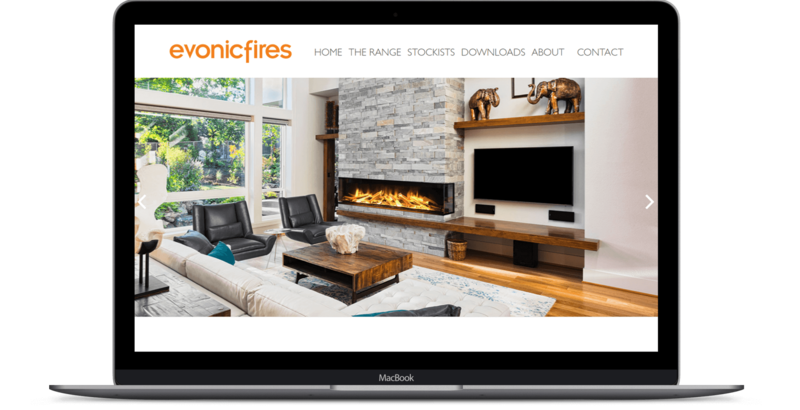 The Evonic Fires website serves as a showcase for their high quality electronic fires. The brand uses beautiful images to present their products in luxurious settings and the style of the website needed to reflect that classic look. At the same time it needed to incorporate a huge range of products in an easy to navigate way while maintaining a clean look. The use of sliders maximises the images and the large dropdown menu incorporates images too. Keeping the elegant and minimalist style of a website can be hard when it is optimised for mobile viewing on a much smaller screen. Being able to appreciate the photography and still navigate the site properly on mobile was an important factor in the design. The mobile version of the site even maintains the sliders from the full size website and gives the closest possible experience. To display the full range of the glossy images a slider is used as the main image on the homepage. It scrolls through images automatically to give visitors a flavour of the products on offer and a feel for the ranges. A drop down menu includes images to supplement the menu text and provide more context and enticement to click. 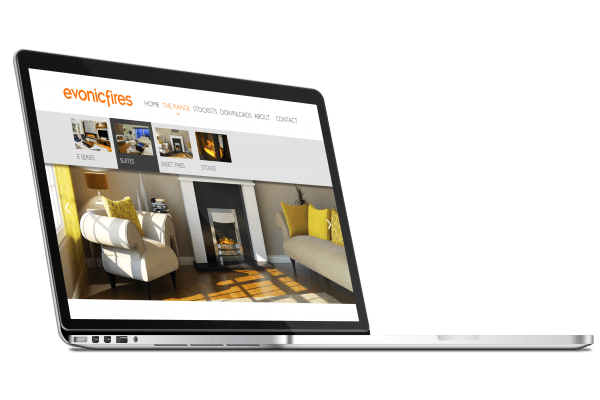 On the main category page for the ranges there is a large header photo and a stylish inset text box. 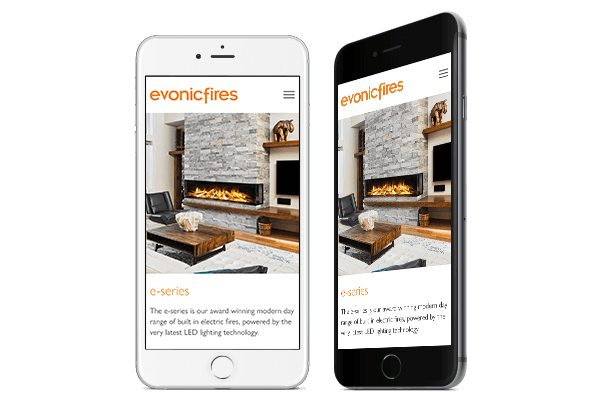 The Evonic Fires site is built on WordPress, a powerful and flexible content management system that powers over 75 million websites worldwide. Custom fields and settings have been added to allow for the particular kinds of information the site needs, such as the list of stockists. This means the site can be easily updated and expanded in future.